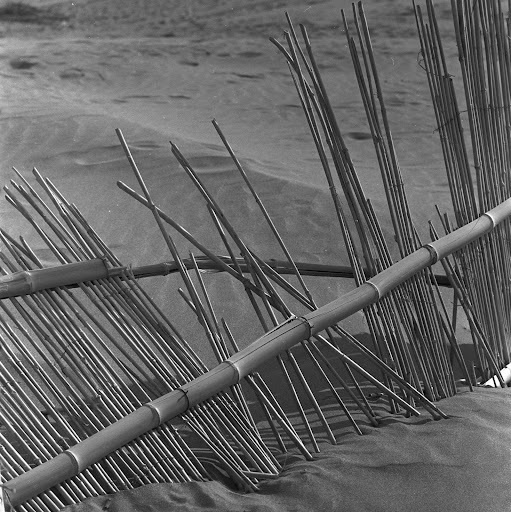 This style of bamboo fence was often used in Japan as a snow fence, but I don't remember seeing them at the beach. In any case, it was clearly in need of maintenance. Late 60s.